Sanity has just prevailed in Muslim-majority Indonesia. 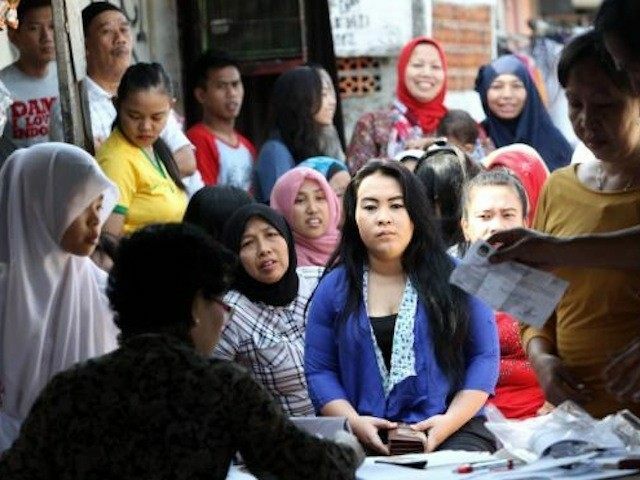 An attempt to impose virginity tests on female high school students in the city of Jember has failed. A public outcry, led by human rights groups, as well as by Indonesia’s Muslim clerics, has led to the rescinding of a virginity requirement for girls-only in high school. Non-virgins would not have been entitled to their diplomas. This victory is important and might establish a precedent for an interesting coalition of human rights activists and knowledgeable and humane Muslim clerics. People tend to think of Indonesia as Hawaii-like: carefree, indolent, basking in perpetually pleasant weather. President Obama lived there with his mother, adoptive Muslim father, and sister, from the time he was six until he was ten. His mother returned to study and work in Indonesia on and off for two decades after her son decided to stay in Hawaii for high school. Indonesia is no longer the Big Easy, at least not for women. For example, last year, the relatively small Indonesian province of Aceh mandated that Sharia law must be followed by both Muslims and non-Muslims. Violations include not wearing a headscarf, drinking liquor, unmarried couples having “affectionate contact,” and women wearing pants. Female genital mutilation (FGM), although banned, is widely practiced as is polygamy among Hindus in Bali. We live at a time when Muslim men and women are attacking Muslim women with acid for failing to “wear niqab” and stoning them to death for alleged adultery. We are gradually and dangerously getting accustomed to the most surreal forms of Islamic barbarism and misogyny. The obsession with female virginity among tribal people, especially Muslims, cannot be overstated. According to Arab gynecologists, anxious girls wanting to check whether their hymens are intact or hysterical girls who need hymen repair before marriage constitute a large part of their practice. Girls who are discovered to be non-virgins at the time of their marriage have dishonored their families and are the potential targets of an honor killing. This is also true among Hindus, Sikhs, Muslims, and Christians in India, especially in the Punjab. Dr. David Ghanim, author of Gender and Violence in the Middle East, will publish a new work later this year: The Virginity Trap in the Middle East. His book is a scholarly yet passionate call for a genuine Arab Spring, one that will free both men and women from an obsessive, unnatural, and destructive definition of family and male honor that is rooted in a cult of female virginity and fidelity. Girls and women are jealously guarded, monitored, stalked by relatives—and if judged “impure,” they are killed to preserve the family honor. This is hardly the most productive use of a society’s time.